Last month, producer Simon Kinberg revealed that fans will be getting trailers for 20th Century Fox's new superhero movies X-Men: Apocalypse (May 27, 2016) and Deadpool (February 12, 2016) sometime in December. The first X-Men: Apocalypse trailer debuted last week, and it will also be attached to theatrical prints of Star Wars: The Force Awakens when it hits theaters on December 18. Yesterday, a new report surfaced that fans will actually be getting three new Deadpool trailers this month, a 27-second video that will debut exclusively in IMAX theaters with Star Wars: The Force Awakens, along with a full green band trailer arriving in conventional theaters with Star Wars: The Force Awakens and a red band trailer. Last night, ESPN's SportsCenter aired a new promo that confirms one of these new Deadpool trailers will air during the network's NBA on ESPN game on December 25. While it most certainly won't be the age-restricted red band trailer arriving on Christmas Day, we're not sure if it will be the 27-second IMAX trailer or the full green band trailer. All three versions of this new Deadpool were recently rated by Alberta Film ratings, which confirm that both the red band and green band trailers will be two minutes and 24 seconds long. Deadpool comic book creator Rob Liefeld also chimed in with the news, posting a screenshot of the ESPN promo on his Instagram page, along with the following message. "Did you see it? #DEADPOOL promo for the NBA on ABC! As if you needed more proof he's a Liefeld creation!! Deadpool and Kobe and HOOPS!!! Rejoice!! #robliefeld #robliefeldcreations." Since Rob Liefeld's message references Los Angeles Lakers star Kobe Bryant, it seems likely the Deadpool trailer will air during the game between the Los Angeles Lakers and Los Angeles Clippers, which airs at 7:30 PM PT on ESPN. There are also four more games airing on both ESPN and ABC throughout Christmas Day, so it's possible the trailer could air during these games as well, but we don't know for sure yet. The footage is expected to debut online shortly after its airing, so be sure to stay tuned for this highly-anticipated trailer. 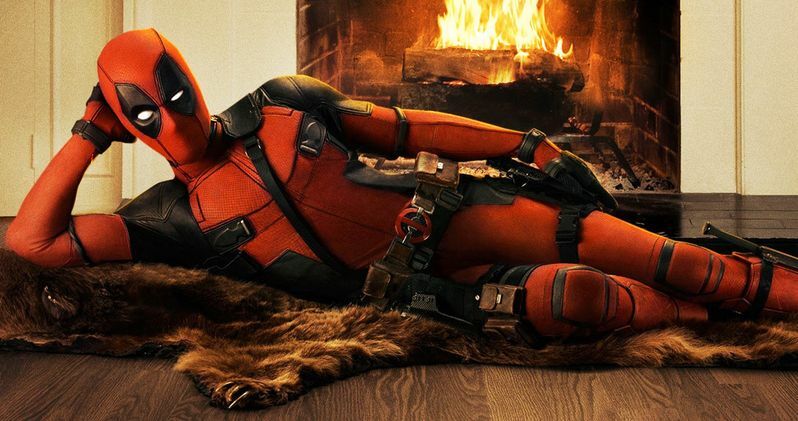 Ryan Reynolds stars as the Merc With the Mouth, with a supporting cast that includes Morena Baccarin, Gina Carano, Ed Skrein, T.J. Miller, Brianna Hildebrand, Olesia Shewchuk, Style Dayne, Rachel Sheen and Dan Zachary. Tim Miller makes his directorial debut with Deadpool, working from a script by Rhett Reese and Paul Wernick. Take a look at the photo posted by Rob Liefeld below, and stay tuned for the new Deadpool trailer.